Thanks Anil Here is my situation: Applied for H1 to H4 COS. My H1 B extension is pending but however i would like to continue on EAD. COS got approved with the future date 25th April 2019.I am currently working on H1 and will move to EAD after 24th April. I would like to travel to India.Is it possible to travel to India in March end and get it stamped as H4 and return after April 25th and continue working on H4 EAD. Is this possible? 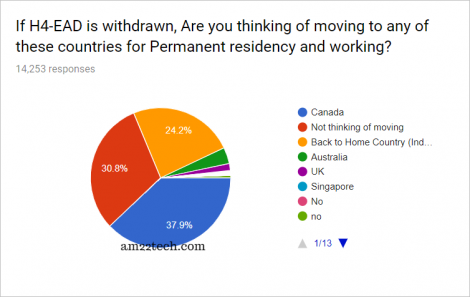 Do we have to withdraw my H1B extension which is going on before travelling to India? 1) Travel to India in March end and come back after April 25th? Are there any implications if my H1 extension is pending? 2) Travel to India after April 25th and get it stamped as H4? 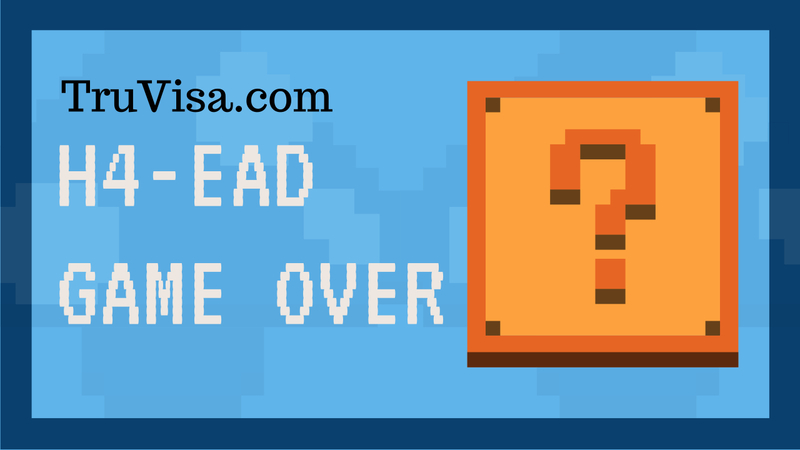 Your question about H1B withdrawal and working on H4 EAD is out of scope of this article. I have added it to our forum and answered it there. My H4 EAD got approved for the future date ie 25th April 2019. I am currently on H1 and would like to move to H4 EAD. I had applied H1 TO H4 COS along with my husban’d H1 extension and it got approved. I got approval for 3 years for H4 EAD. Is it likely that they will allow people on H4 EAD to work till their expiry date? The chances are high that DHS will allow current H4 EADs to work through their expiry date. No offense but what exactly is your qualification to be answering so many complex legal immigration questions? I do understand that you are genuinely trying to help people out here but if you are not a lawyer (and I’m pretty sure you are not) you should explicitly put a disclaimer here saying that you are not a lawyer and have had no legal training and that whatever you put up here is based on your reading and interpretation of the law and cannot be construed as legal advise. We have it clearly mentioned in our Disclaimers. Hi Anil!!! Urgent question!! My husband’s 140 has not been received. So my company will apply H1B for me this coming April. However, my passport is expiring 4/23/2019, visa will be valid until 2020. I don’t have enough time to get a renewed passport. Can my company still apply H1B for me? Can I get renewed passport later? Much appreciate!!! Your company can apply for your H1B with your current passport. But, it is possible that your i94 is restricted to your passport expiry. Also, USCIS may issue an RFE to submit new passport. My suggestion is to get new passport and then apply for H1B. Hi Anil, thank you so much for the reply! The thing is that if we plan to turn the application in on 4/1/2019, I will not have enough time to get the renewed passport (it takes at least 15 business days to renew). If I renew my passport later, do I need to update USCIS? or I just wait for them to issue the RFE? Thanks! Much appreciated!!!! You will not be able to submit document later after filing your application. You will have to wait for RFE and then send the requested documents as per my information. Hi Anil, one more thing – do you have any government website citation indicating that a passport with 6-month validity is not required to file H1B application?? Thanks a lot!!! I do not have the link ready to share at this time. You can search on google or USCIS website. How early can we apply for H4 standalone renewal. Is it 180 days or 120 days ? You can apply H4 EAD renewal 180 days before expiry. When the OMB publishes rules for public comments. We all are waiting for it. My spouse had his H1 and i140 from Company A and due to that I got my H4 EAD. Recently, he accepted an FTE offer at Company B and got his H1 transferred. Have 140 approved with Company A with more than 6 months . Now, Company A would want to withdraw his i140 since he is no more associated with them. Company B has not filed for his i140 yet. What happens to my H4 EAD status which i got based on Company A’s i140 application and if they withdraw it. My current H4 EAD is valid till June 2020. Your question is out of scope of this article. I have added it to our forum and answered it there. Hi Anil, Thanks for helping everyone. Here is my situation: Moving from H1 to H4 EAD. My I 140 got approved in Nov 2018. Can employer withdraw I140 if I move from H1 to H4 EAD? I applied for COS from H1 to H4 EAD. 1)I would like to continue with the same employer because I would like to complete 6 months after I 140 approval to be on the safer side. Since I won’t be on H1 can I 140 still be valid if I continue with the same company? I am planning to working for 6 months with the same company to save my I 140 being revoked. 2) What changes employer has to do in their system when I move from H1 to H4 EAD? Will it be an update to I-9 form? What else is needed to be updated in the system? Do not worry. You will get your H4 EAD approval before the EAD is finally removed. The current removal process is only at review stage. It can take anywhere between 4 months to 1 year to finally remove it. Until it is finally removed, you can apply for H4 EAD and get approvals. I am on H1B (expiry sep 2021) with valid I-140. 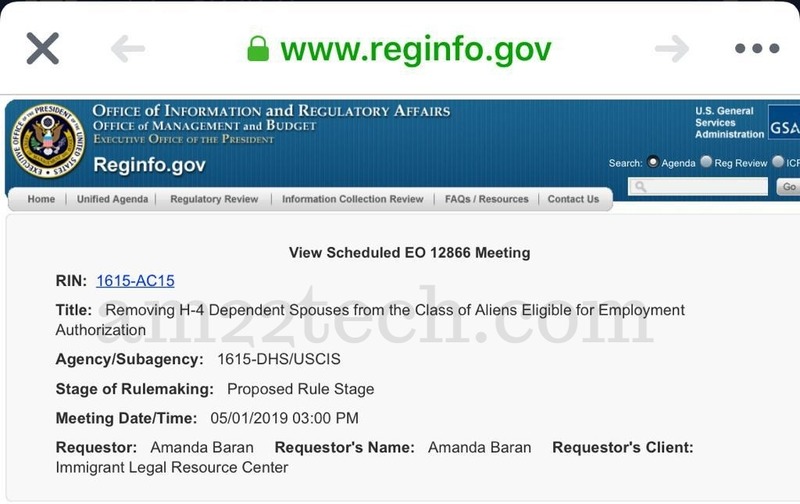 My wife is also on H1b but she is planning to convert to H4 + H4 EAD. I have offer from employer B. While doing my H1B transfer, is it possible to do concurrent filling for H4+H4EAD? The reason i want to explore that option as regular COS + H4 EAD is taking more than a year.